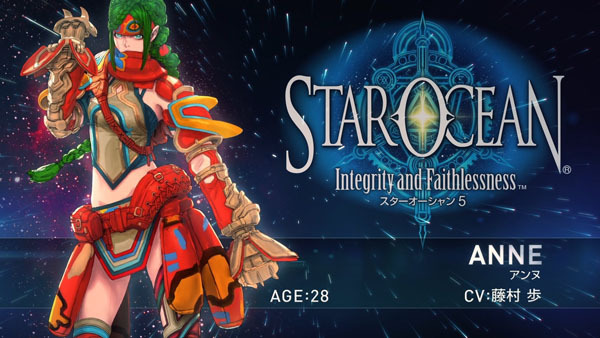 Square Enix and tri-Ace have released a new trailer for Star Ocean: Integrity and Faithlessness introducing party member Anne. The 28 year-old Anne travels with Emerson, another party member, and is described as intellectual, well composed, relentlessly chide but not necessarily cold, and with a hidden kindness. She also loves cats. If you missed it, catch the previous clips here: Fidel, Miki and Victor.